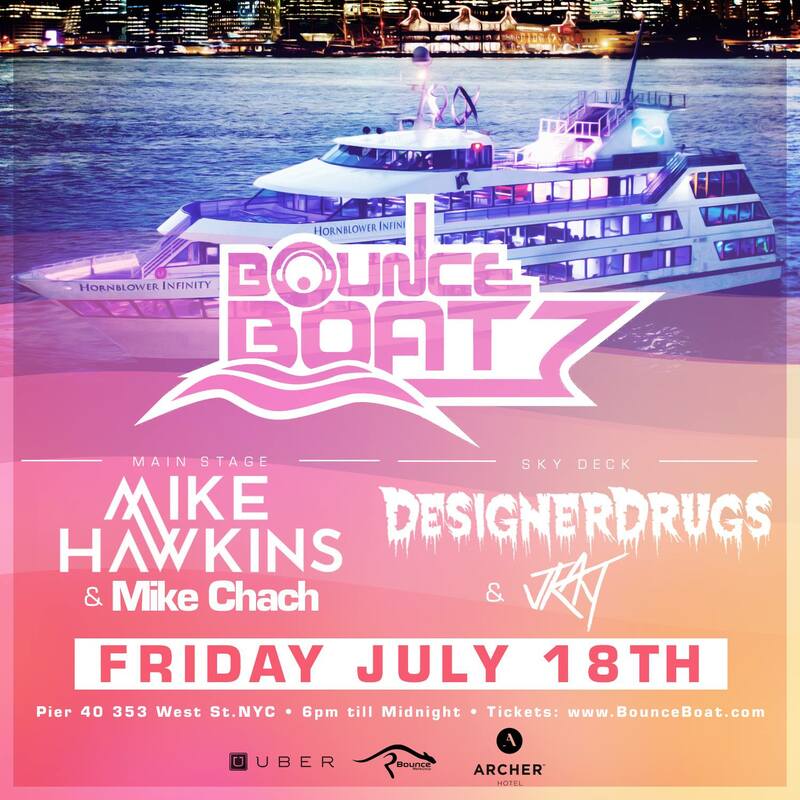 Win Tickets to Bounce Boat, Featuring Designer Drugs & Mike Hawkins, Friday July 18th! Summertime is arguably the best time in the city, and what better way to spend a Friday night than with music, cruising the Hudson River?! Enter the Bounce Boat: cooking up a diverse array of electronic artists for their events, the Bounce Boat takes mind-blowing talent from the electronic scene and sets sail with party-goers and music lovers to form New York City’s premier dance cruise. This Friday will host Designer Drugs, Mike Hawkins, Mike Chach, and JKAY. 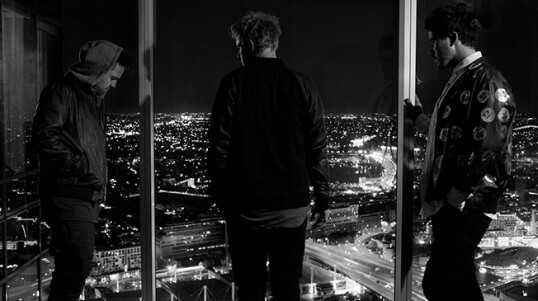 Danish producer DJ Mike Hawkins will make his NYC debut headlining the Main Stage. Currently on his REVOLT tour of North America, which is named after his progressive house track “Revolt,” Hawkins is donating all proceeds from the single to UNICEF. You can purchase the track here while supporting a noble cause! Hawkins also created a 30 minute mix for Bounce Boat radio (just released!) that you can check out here. Have your mind melted as you gaze off at the NYC skyline on the Summer Skydeck with electro-punk DJ/production tandem Designer Drugs. This NYC-based duo continues to push genre boundaries, so it’s no wonder people call them legendary. You can listen and down load their sophomore album, The Drugs Are In Control, here. Sensible Reason is giving away a pair of tickets to Friday’s show! Contest ends Friday, July 18th, at 1pm ET. Jenny’s love affair with music, culture, and politics began many years ago, and she has always found that love best expressed through writing. A graduate of the University of Rochester with a B.A. in Political Science and Religion and a minor in Music, she is fascinated by what makes people tick, move, and behave. Heading straight to New York City after graduating, she works in marketing, communications, and advertising in addition to writing, editing, and geeking out on WordPress for Sensible Reason.